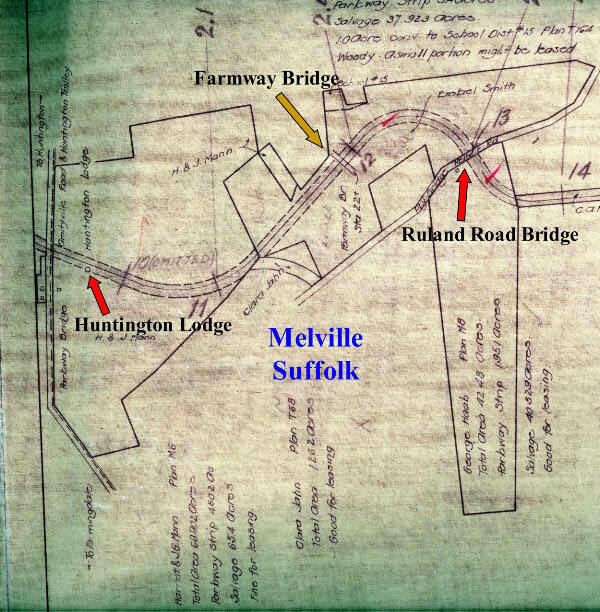 The bridge was built around 1910 over Ruland Road, which was then called the Melville and Farmingdale Road and the Melville Road. The northern enbankment of the bridge was built on the former property of Ezekiel Smith. 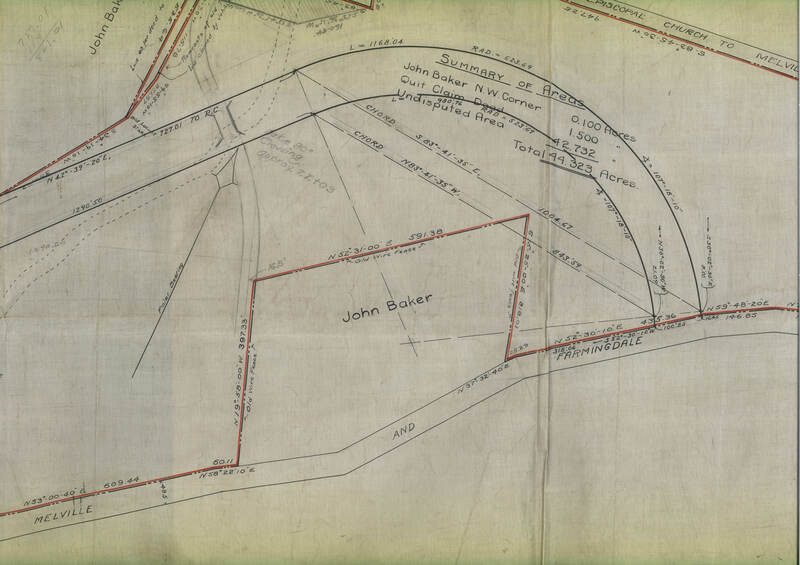 The entire 44-acre Smith farm was purchased by the Motor Parkway to build this section in Melville. 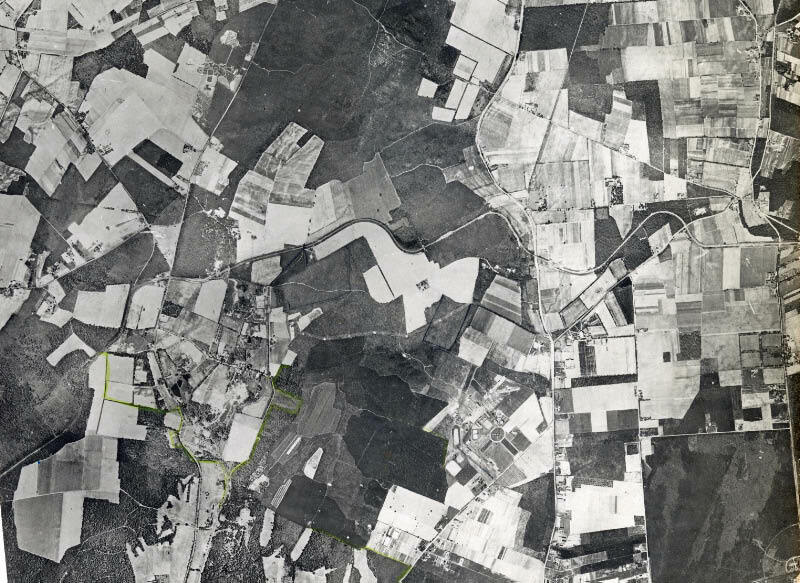 A spectacular aerial of Bethpage, Old Bethpage and Melville. 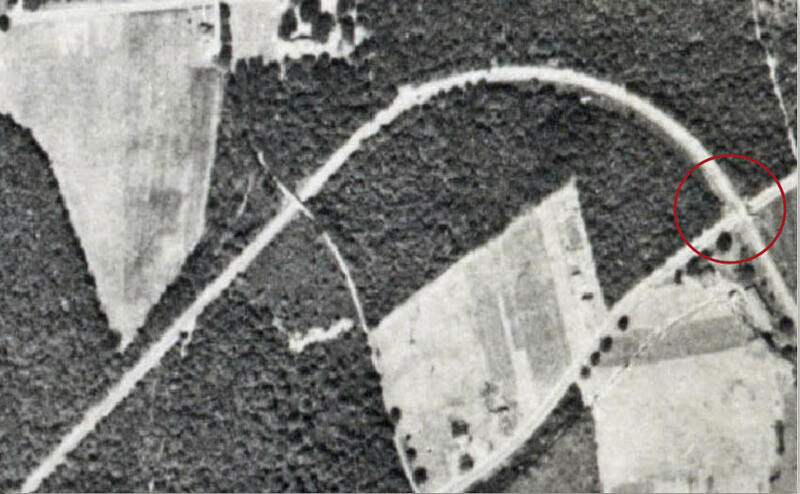 The Motor Parkway can be seen approximately in the middle of the aerial. A close-up of the Ruland Road bridge. 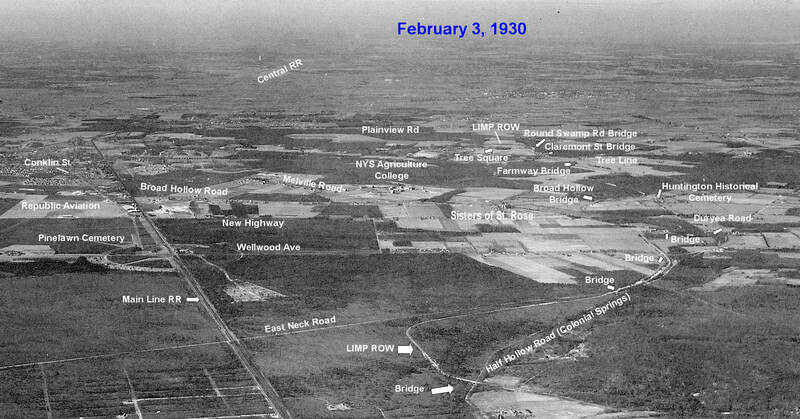 Look very closely and you can see eight Motor Parkway bridges. 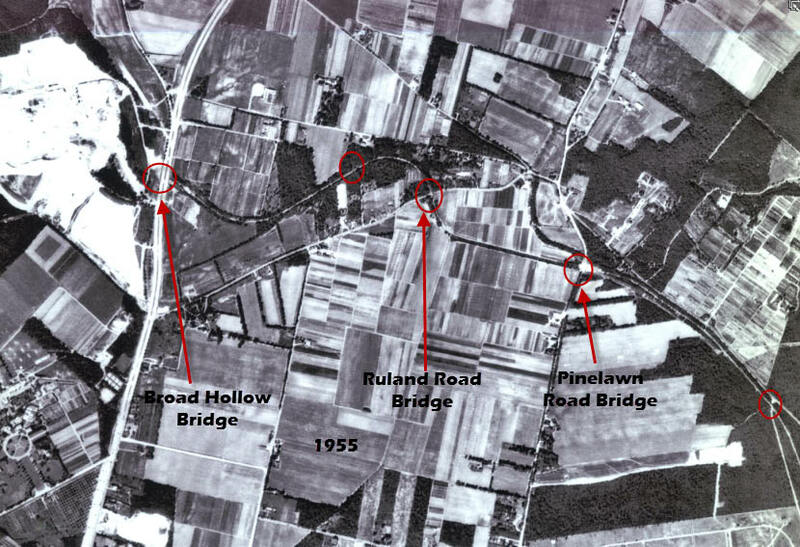 A close-up shows the Ruland Road Bridge. 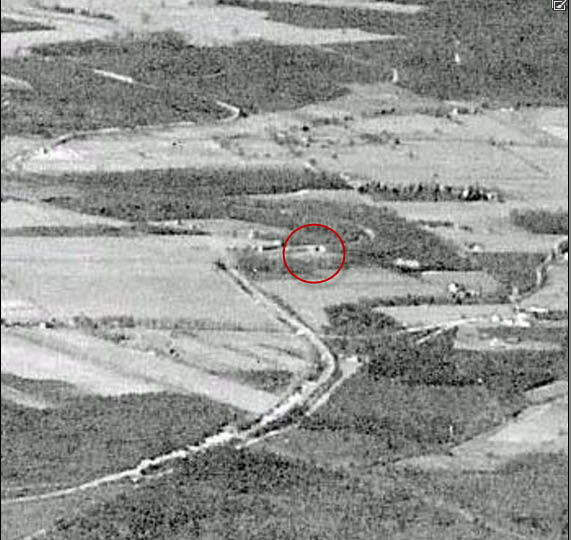 It appears that the bridge was taken down by 1955. 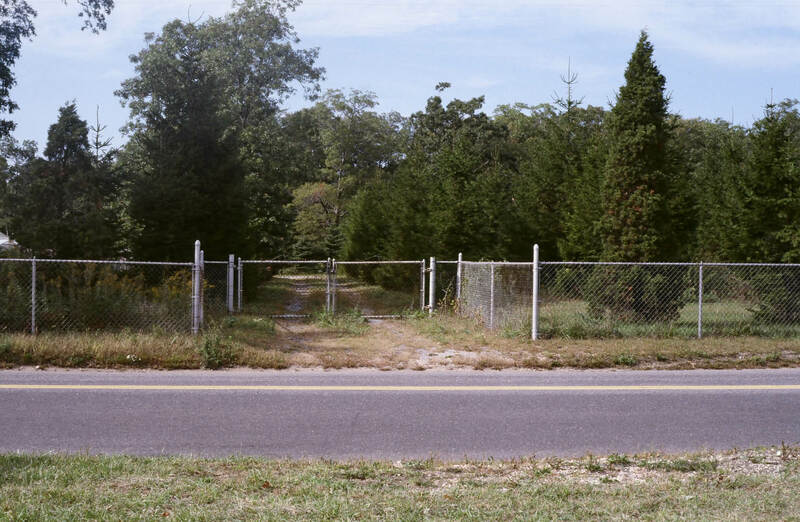 By 1980, only a path to a nursery marked the location of the bridge. Courtesy of Ron Ridolph. The bridge's location as it looks today. 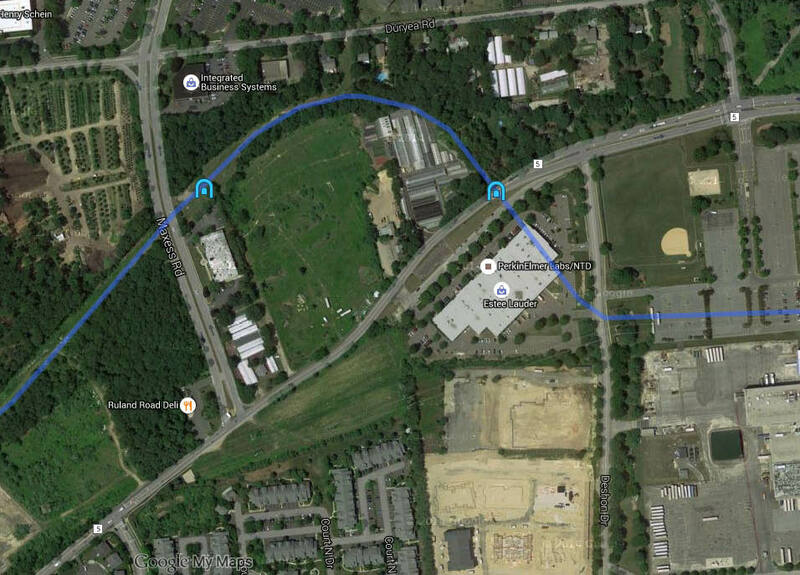 Check out Wayne Consolla's online Motor Parkway map, to find the location of the Ruland Road Parkway Bridge. 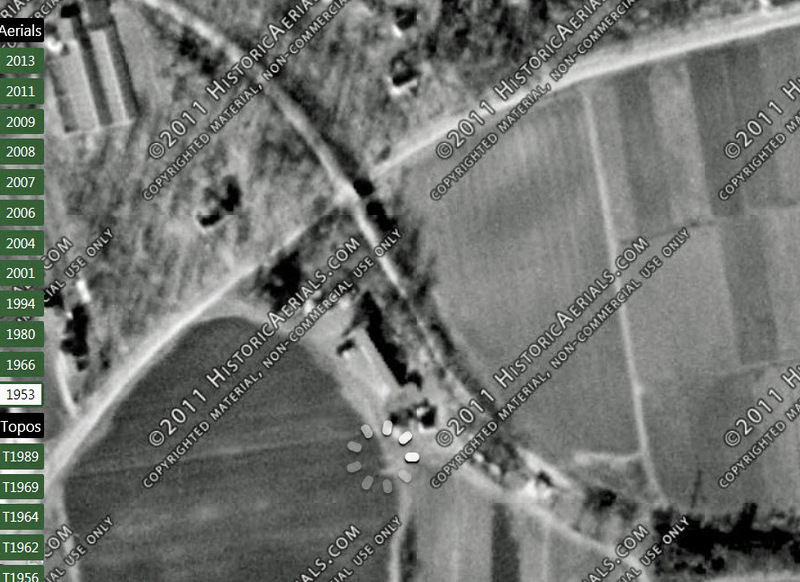 I worked in that building on Ruland Road that the bridge/parkway is shown as crossing through. Funny but, I walked into that building every day not knowing I was following the path of motorists of the past!